I had no idea what to expect of Atlantis Resort in the Bahamas. All I knew is that it’s pink and there’s a giant water slide shaped like a Mayan temple. 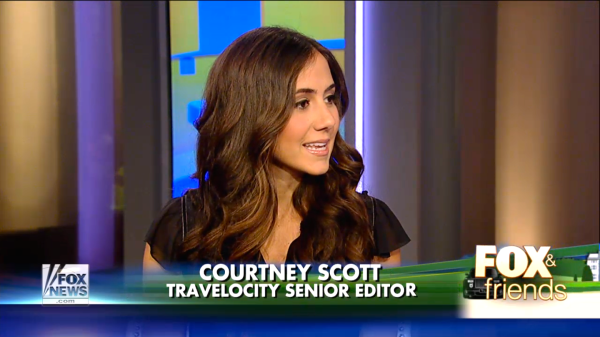 Most of my hotel experiences have been boutique so I was curious to experience a resort of such giant scale. Here are my findings! We checked in at The Cove at Atlantis, one of nearly ten Atlantis properties. It feels more like a luxury boutique hotel than a massive resort and as part of your stay you get exclusive access to Cain at the Cove, a private adults-only beach club with infinity pools, private cabanas, a DJ and outdoor gaming tables. Cain beach is also home to the lone palm tree that has become a favorite spot for Instagrammers. I had to. All of the rooms at The Cove are suites with walk-in closets and soaking tubs which I made ample use of. 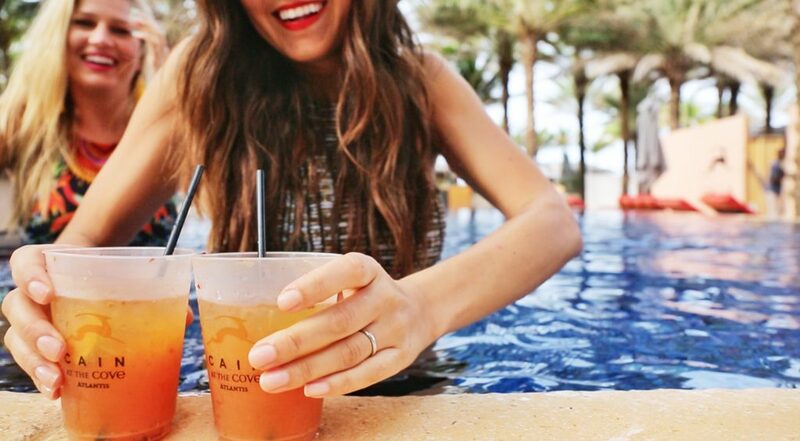 While you could spend your whole day sipping cocktails on daybeds and luxuriating in bubble baths, there is lot more fun to be had at Atlantis. Enter Aquaventure water park. A 141-acre playground for adults with nearly a dozen water slides, tons of pools and strategically placed bars to load up on liquid courage. 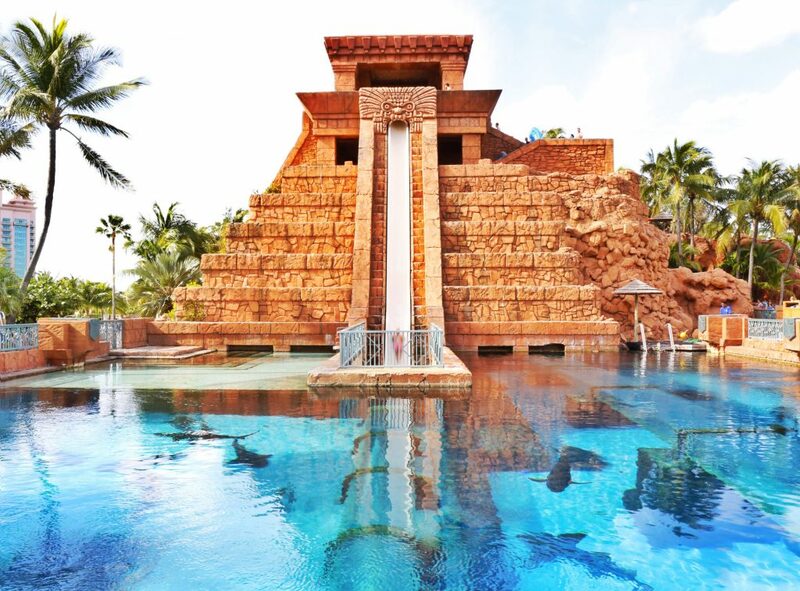 Don’t miss The Serpent Slide, The Challenger Slide and The Drop, a 60-foot vertical drop through a shark lagoon. I’m not going to lie to you. I totally chickened out. But according to everyone who has done it, the drop happens so fast that you don’t even have time to be scared. You will definitely lose your bikini bottom on this one. 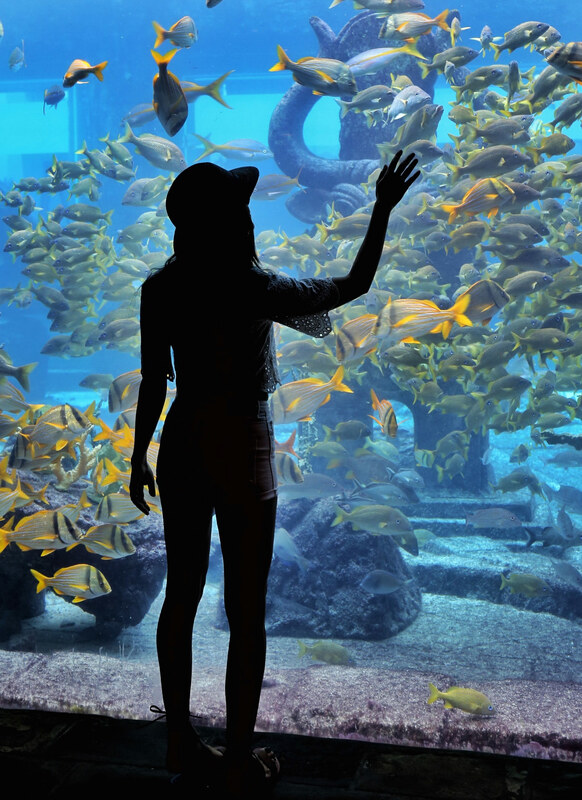 Atlantis is also home to the largest open-air marine habitat in the world which includes a maze of aquarium exhibits and over 50,000 marine animals. 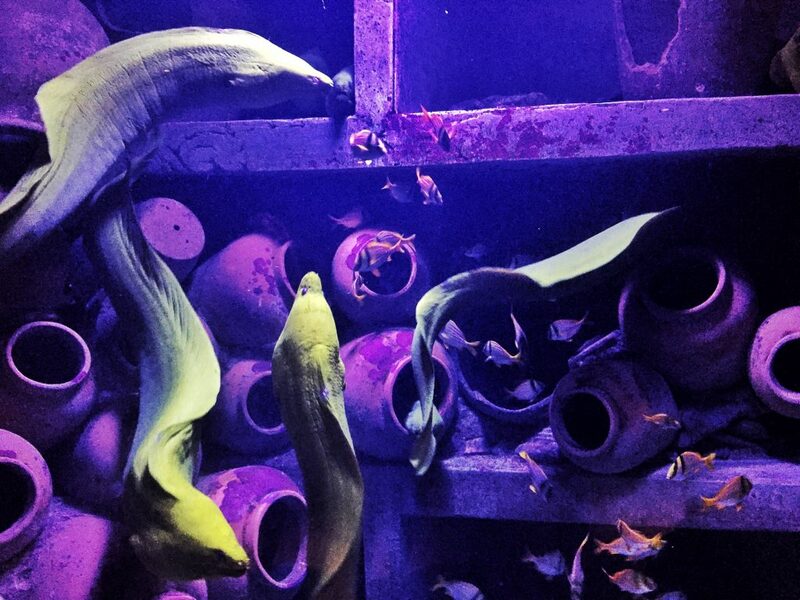 The moray eels exhibit is one of my favorites. Much to my disappointment, Ursula did not appear from behind a rock singing, Poor Unfortunate Souls, but still very cool. You can also snorkel The Ruins which gives you the chance to go dive into the aquarium tank and swim alongside thousands of fish, sharks, and spotted eagle rays. 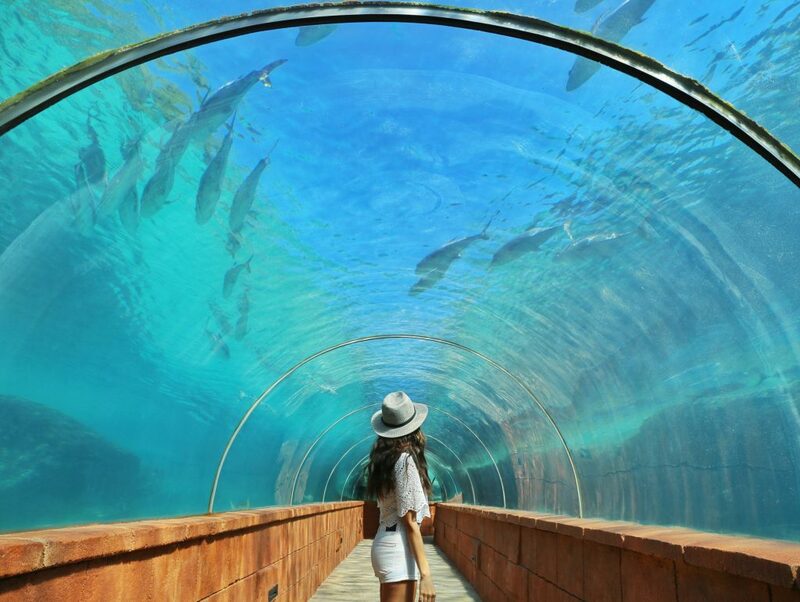 The most iconic of all the marine exhibits is Predator Lagoon, where hammerheads, sawfish and barracuda call home. The brave can throw on an underwater helmet and walk with the sharks. 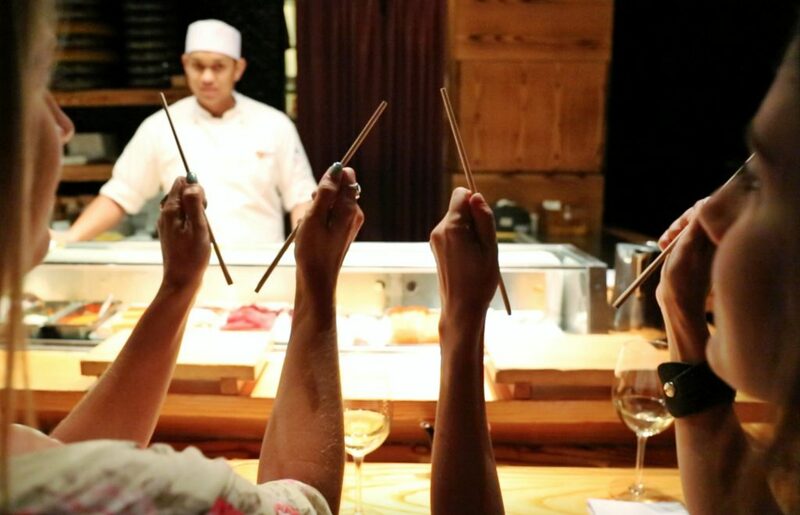 Three of the best meals I had at Atlantis were at Cain at the Cove (get the jalapeño–infused tequila cocktail and the poke), 77° West and Nobu. 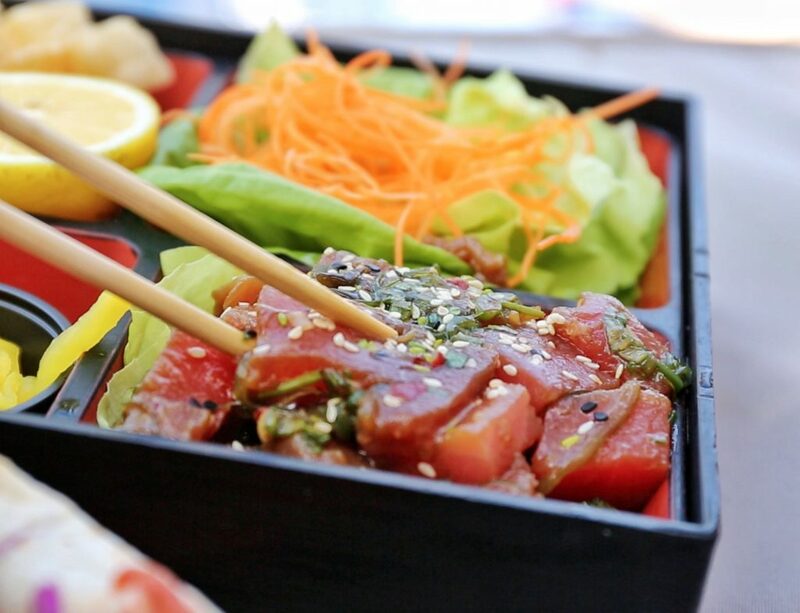 You can also dine on huge portions of Italian at Carmine’s, Mediterranean at Todd English’s Olives or steak at Seafire Steakhouse but I typically like to keep it light and fresh when I’m at the beach! 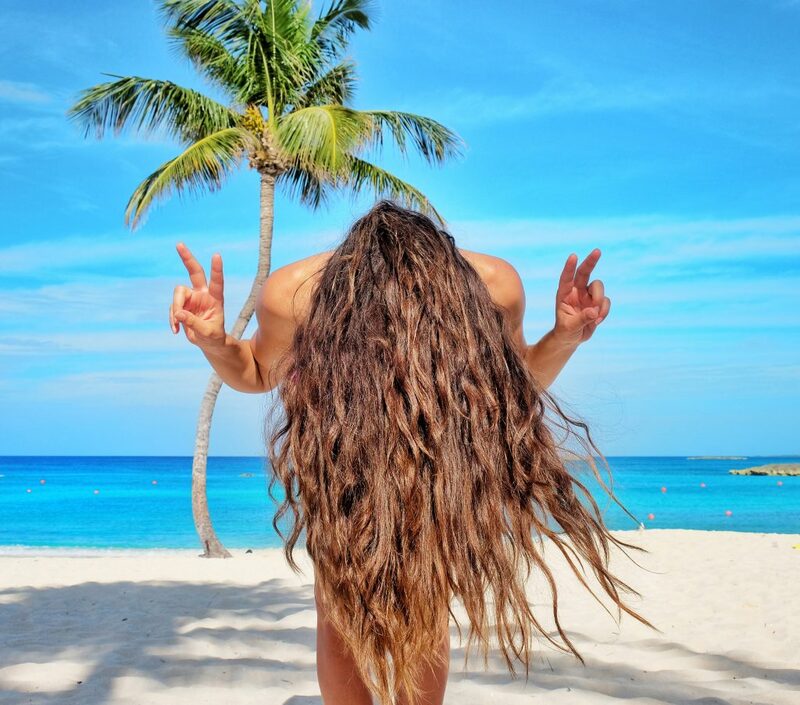 For more Atlantis inspo, watch the Girls Meet Globe guide to Atlantis! 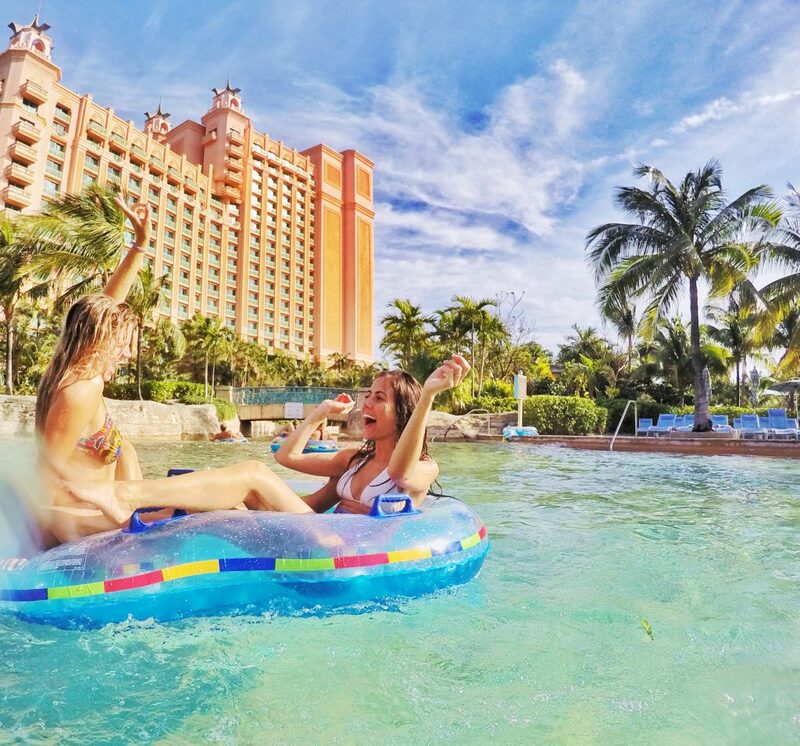 What's your favorite thing to do at Atlantis Resort?